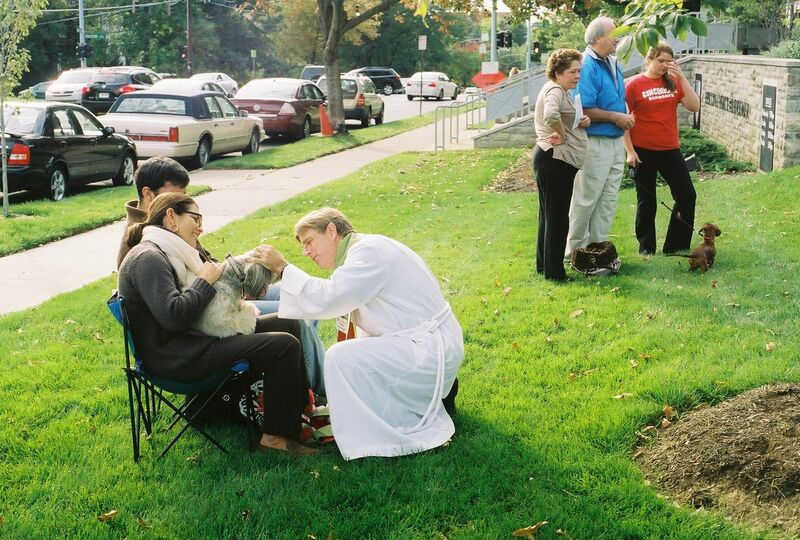 In honor of his feast day (Oct. 4th), churches around the world included a Blessing of the Animals in their Sunday service. 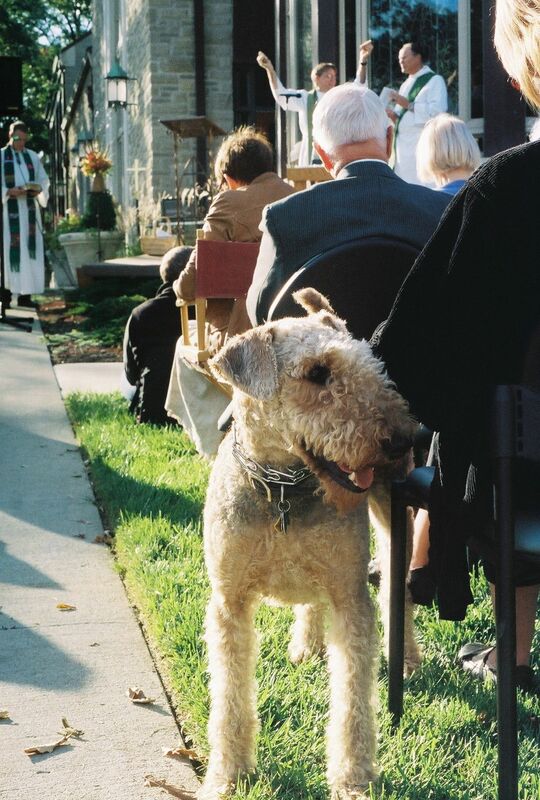 At Cincinnati’s Episcopal Church of the Redeemer, a 5 PM service was held on the church’s front lawn beneath a bright evening sky, to the jaunty tunes of the city’s Celtic Ensemble. Sunlight raked across the faces of several dozen (mostly calm) dogs, a few cats who appeared anxiously outnumbered, and three fish traveling in Mason jars. Let us pray. O God of all creation, we thank you for the gift of companionship in the animals who have throughout our lives shared our earthly journey. 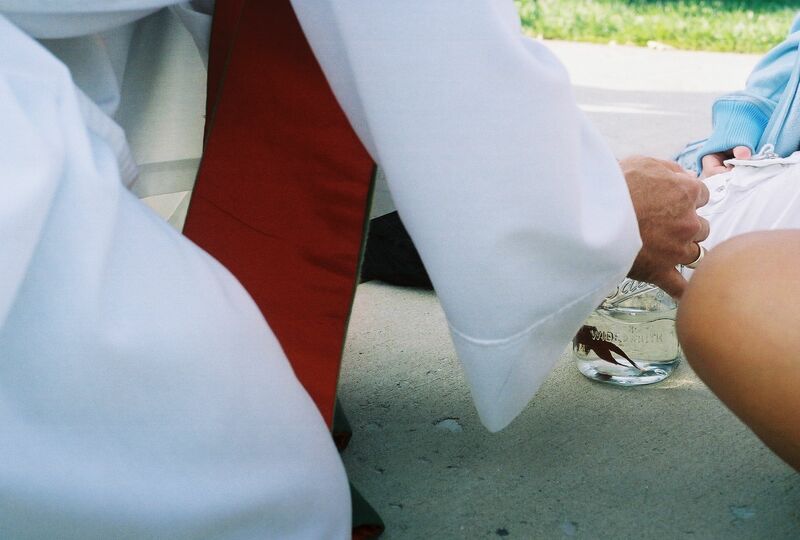 Make us ever mindful of the love and devotion bestowed on us by the creatures we accept into our lives. 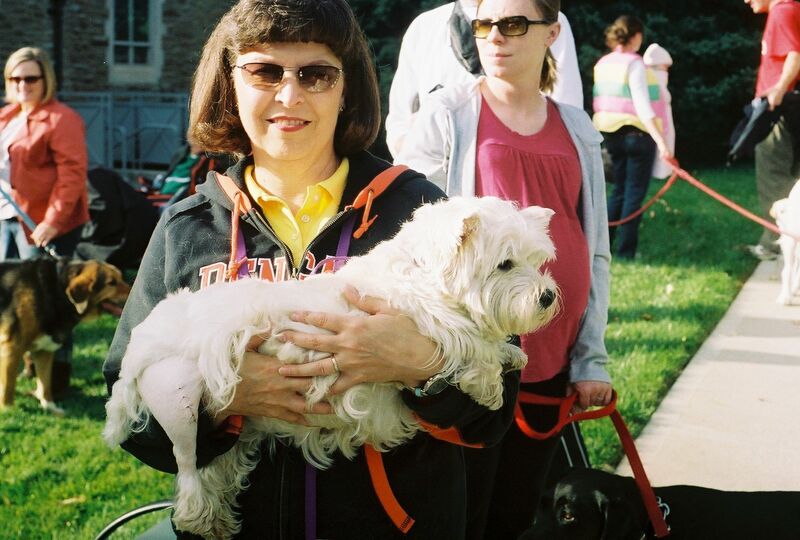 Help us to remember and honor the gift of companionship which they have given so generously. 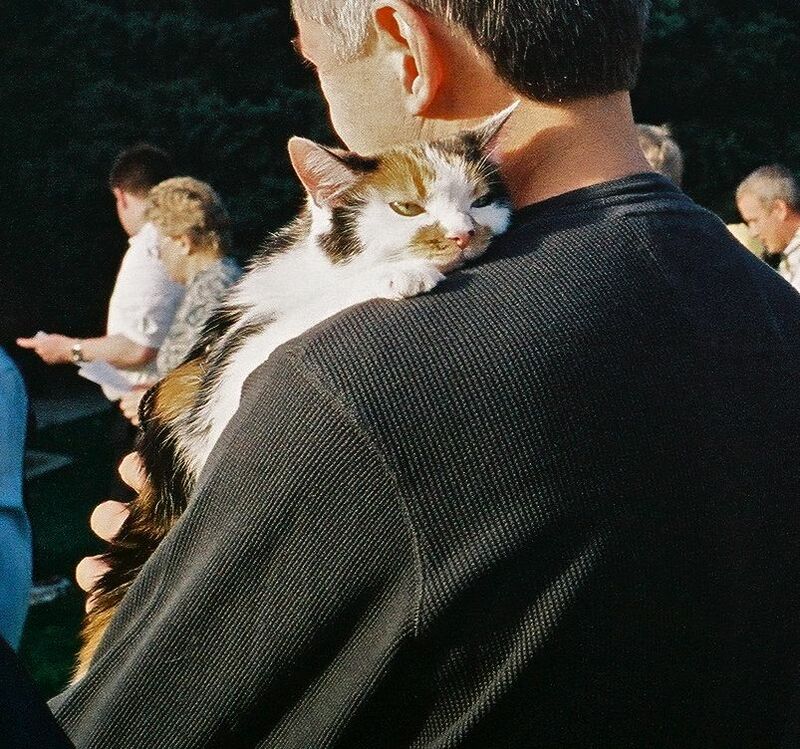 Heal the deep grief and sorrow we feel at the death of beloved pets, especially those we now name, either silently or aloud… Help us to share our love and lives abundantly as we go forward. In Jesus’ name. 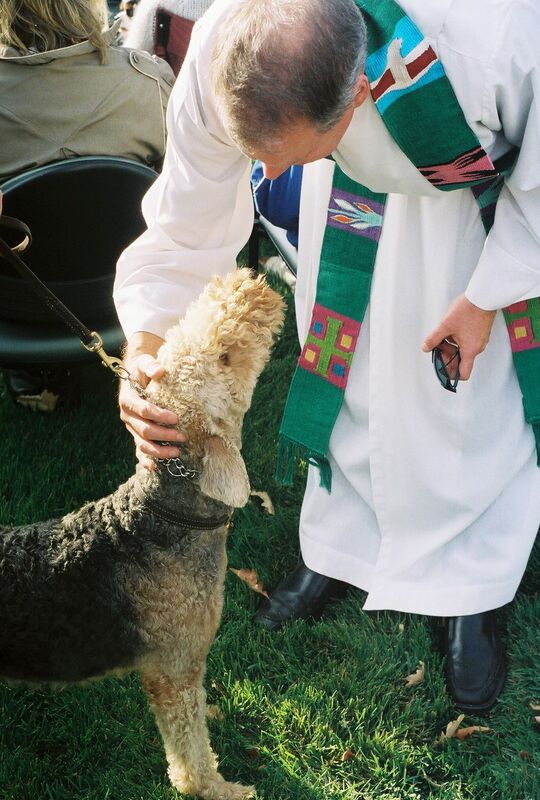 O Lord, who looks upon all creation and declares it to be very good: we thank you for the animals with whom we share this earth, and particularly those you have given into our care. Guard them, we pray. Tend to their necessities, relieve their suffering, and protect them from exploitation. Help us to see in them the beauty and glory of your creative hand. As you raised your servant, St. Francis, to declare the oneness of your work, help us to be instruments of your loving providence, that all creation may sing your praises. In God’s name. The two pastors spoke to human families about their animals’ health and households, before laying hands upon heads (and jars). 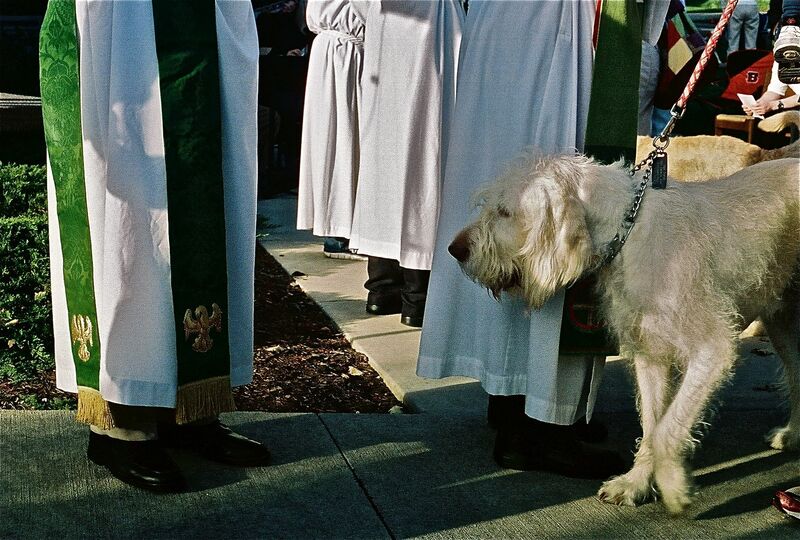 They thanked each dog, cat, and fish for the companionship they gave to their family members, human and animal, and for being an instrument of god’s love. And they prayed for their recovery from injuries and other hardships. All creatures of our God and King, Lift up your voices, let us sing. Bright burning sun with golden beams, pale silver moon that gently gleams. Great rushing winds and breezes soft, you clouds that ride the heavens aloft, Fair rising morn, with praise rejoice; stars nightly shining find a voice. Swift flowing water, pure and clear, make music for your Lord to hear. Fire, so intense and fiercely bright, you give to us both warmth and light. Dear mother earth, you day by day unfold your blessings on our way. All flowers and fruits that in you grow, let them his glory also show. Let all things their creator bless, and worship him in humbleness. Praise God the Father, praise the Son, and praise the Spirit, Three in One. 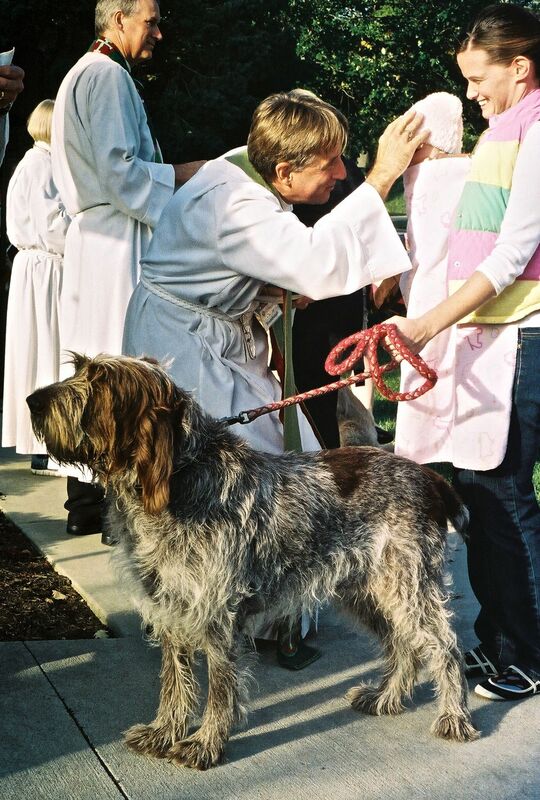 This entry was posted in News and tagged Blessing of the Animals, Bruce Freeman, Charlie Brumbaugh, Church of the Redeemer, Episcopal Blessing, Hyde Park, St. Francis of Assisi. Bookmark the permalink. There’s an episode of the Vicar of Dibley where she does this. You might like it Fab!